76% of patients studied were able to ambulate without any physical assistance from another human being following completion of the exoskeleton training program. Powered exoskeleton systems allow patients a safe means of ambulation conducive to prolonged use. 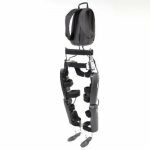 Routine use of the exoskeleton system is known to yield health benefits, including improvement in muscle spasticity and bowel movement regularity.